Zephyr Conferences is a member of the Zephyr United family, which includes the tour companies Zephyr Adventures and Taste Vacations. We only engage in industries we love, including travel, fitness, food, wine, and beer. Zephyr Adventures was founded in 1997 and has been running active tours around the world for over two decades. Because many of these tours were in beautiful wine regions, we created the Wine Bloggers Conference in 2008 as one of the world’s first niche blogging conferences. That was the start of Zephyr Conferences. We only run conferences in industries we love: currently food, wine, and beer. We believe a gathering of like-minded, positive people can create an amazing experience for the participants. We specifically try to make our conferences fun as well as educational. We provide good value by focusing on what really matters to our attendees and skipping the small, expensive details that don’t really affect your satisfaction. 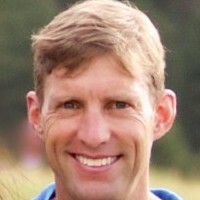 Allan Wright is Zephyr Conferences’ owner and president. He is involved with all five conferences as needed and specifically is responsible for securing new locations each year. 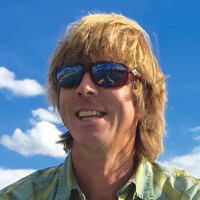 Allan has lived the past 14 years in Boulder, Colorado where, among other things, he started the food and drink blog Eat Drink Boulder. He is now in the process of moving to New York City. 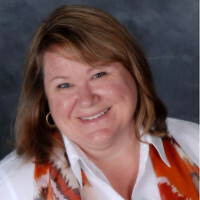 Karen Barnes handles the marketing and content for Zephyr’s two wine conferences, the Wine Bloggers Conference and Wine Marketing & Tourism Conference. She has worked in the wine industry in Napa Valley since 2002, focusing on Direct-to-Consumer sales and management for small and virtual wineries. Originally from Colorado, she enjoys the mountains, theater and travel – and the occasional glass of wine, of course! Reno Walsh helped develop Zephyr Conferences and has been an important part of the conference team since day one. He is responsible for Sponsorship Sales and making sure the brands that make the conferences possible have the opportunity to get the most from their marketing investment. 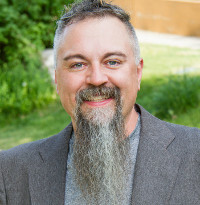 Reno is based in Bozeman, Montana, where he loves to spend time in the outdoors snowboarding, fishing, rafting, and pretty much anything else you can classify as outdoor adventure. Ryan Newhouse is the Marketing & Content Director of the Beer Bloggers & Writers Conference and the Beer Marketing & Tourism Conference. Ryan has a background in digital marketing, along with years of experience as a beer writer. He is the creator of the Montana Brewery Passport and wrote the state’s only guide to breweries. Ryan and his family live in Missoula, Montana. Sara Pletcher as Operations Manager pulls together all the logistical components of our five conferences​. She is the one you communicate with once you’ve booked your registration or signed on as a speaker or sponsor. 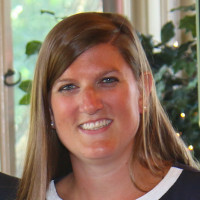 Sara lives in Milford, Delaware where she is President of Downtown Milford, Inc. and a member of the City of Milford Planning and Zoning Commission. If not Downtown, Sara’s at a nearby beach in Coastal Delaware or exploring a craft brewery with her rescue greyhound, Citra. Sarah Wohlner is the Marketing Manager Intern for the International Food Blogger Conference. 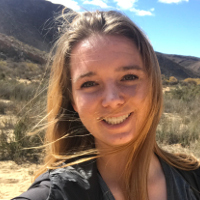 She is currently finishing her last year as a Business major at the University of Colorado, Boulder. She loves cooking, traveling and all things food in addition to some social media recipe blogging of her own. Growing up in the California Bay Area, she has always been immersed in a variety of food cultures and is constantly looking to expand her passions for food and marketing. If you attend our conferences, we look forward to meeting you in person!